The Firefighter Toy Program is an annual donation-based toy drive that collects new, unwrapped toys from the Lexington community. These toys are then distributed to local families in need during the holiday season. LEXINGTON, KY – For the fifth year in a row, Paul Miller Motor Company is proud to partner with the Lexington Fraternal Order of Firefighters (Lexington FOF) for its 87th Annual Toy Drive. The candy-cane striped van will transport toys for families in need, helping to give back to Lexington-Fayette County residents throughout the holiday season. "Partnering with the Firefighter Toy Drive is a special tradition for all of us at Paul Miller"
designed graphics promoting the Toy Drive. This vehicle will visit pickup centers throughout the seven-week toy drive, making it easier for the Lexington FOF to collect and transport new, unwrapped toys from donation locations throughout the Lexington community. Miller Mazda and Paul Miller Auto Outlet, before the final pickup date of Tuesday, December 18th. The toys will then be delivered to the Toy Drive’s “North Pole” location, the former Eastland Lanes Bowling Alley, located at 750 East New Circle Road in Lexington. Local families in need who have registered for the program will then be able to “shop” for toys at this location at no cost. On December 18th, the drive will conclude with Paul Miller Ford’s annual Cookies with Santa event. The event features kid-friendly crafts, cookies and milk, along with story time and photos with Santa. The Lexington FOF will be on hand for the event and will be picking up the final toy donations from the dealership. Cookies with Santa will take place from 3-6 p.m. at 975 E New Circle Rd. and is free and open to the public. 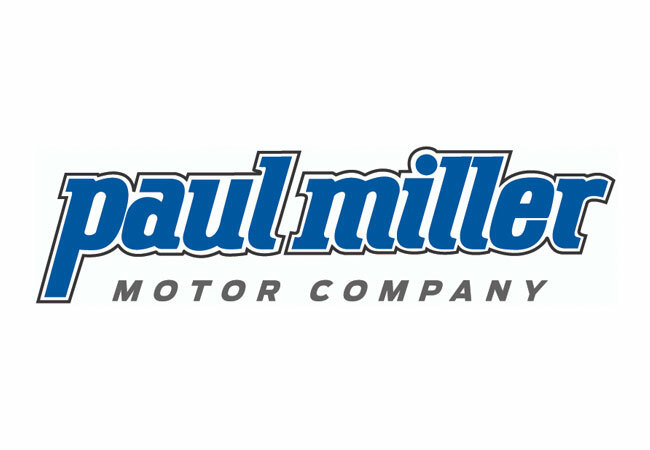 The Paul Miller Motor Company consists of Paul Miller Ford, Paul Miller Mazda, Paul Miller Auto Outlet, and a number of other locally-owned and -operated automotive-related businesses that have served the community for more than 65 years. The Motor Company is dedicated to improving the lives of its employees, customers, and community, and is proud to support local organizations like the Kentucky Children’s Hospital and, of course, the Firefighter Toy Program.